We cannot identify this venue as we would not want to encourage others of a less respectful nature than our own. We are fortunate to have been entrusted with overnight access to try to explain the experiences and sensations people have here. 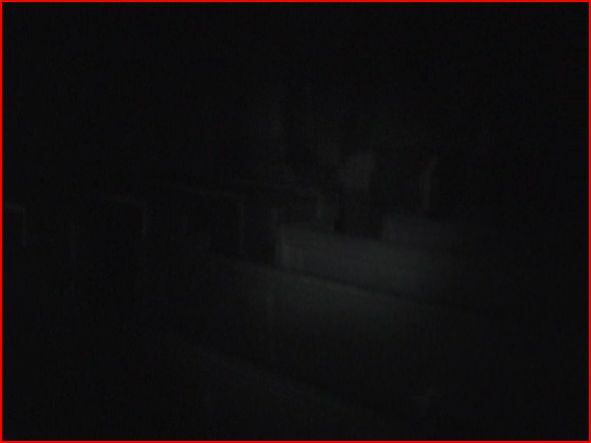 This was our fourth investigation at this venue. We were originally contacted and offered access to this location to try to explain the nervous feelings experience by people and how items may have been disturbed overnight. 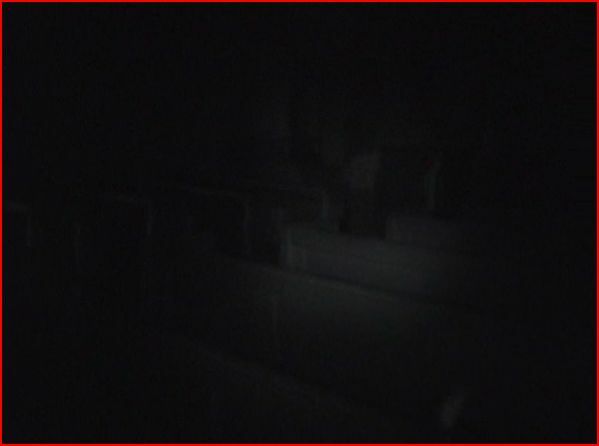 Since our last visit there have also been interesting accounts of noises being heard from the building at night, as well as sightings within the building and in the vicinity. Previously we had simply spent our time conducting group vigils in different areas of the building. When doing so we had noted a large amount of noise, taps and knocks, as well as a sense and sound of movement coming from the west end of the building. It is also in this area that sightings had been reported. Ian, Kim, Paddy, and Dave. This time we decided not to waste any time and to spend all our time in the same location, in the west end where the sightings, and more importantly, we ourselves have heard noises and movement previously. We also decided to experiment with the use of a séance. We do not always do this as we are a scientific group interested in actual evidential results rather than clairvoyant, however, we have found that by doing this the number of happenings that occur increase giving us more chance to record evidence with our equipment. When we arrived and took a little time to peruse the outside grounds and marvellous views from this hill top location, it was a nice balmy summers evening and well worth spending a little time on. Unfortunately we had to take note of some loud music being played at a near by venue as well as a firework display elsewhere, this may have an effect on our recordings. After this we ventured inside and prepared our equipment. Dave, Ian and Paddy had camcorders running whilst Kim, Paddy and Dave had digital voice recorders on the go. Early indications are that sadly nothing was captured on any of our still pictures, although as mentioned some results were captured on camcorder, audio recordings are still to be reviewed. This report will, of course, be updated if anything becomes apparent. Many thanks to the custodians for the trust they showed in permitting our access to the venue.